Ajay: My name is Ajay Kumar Shakya. I completed my B.Tech from Arya Institute of Engineering and Technology in 2015. My aim is to become a successful and skilled software engineer. Aspiring Minds: What difficulties did you face while searching for a job and how did you overcome those difficulties? Ajay: I did not face too many difficulties as I had already taken AMCAT. 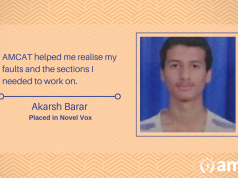 The test was very helpful as it helped me identify which of my skills are weak or strong and I could accordingly take steps to improve and enhance them. I improved my technical and communication skills with the help of AMCAT feedback and got selected in Mindtree. I owe my success to AMCAT. Aspiring Minds: Tell us about your experience post giving the AMCAT test and how AMCAT helped you in getting the job at Mindtree? 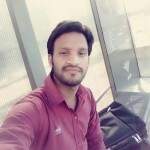 Ajay: Before taking AMCAT I was not aware of my strengths and weaknesses, and hence I did not know on what areas should I focus more on and what kind of jobs would be suitable for me. 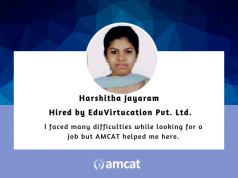 After taking AMCAT, I could understand the next steps I should take to work towards a successful career. Ajay: As AMCAT gives us a full analysis of our skills, it plays a vital role in improving our overall skill set including technical and communication skills. I would recommend AMCAT to every job seeker for a better understanding of their capabilities. 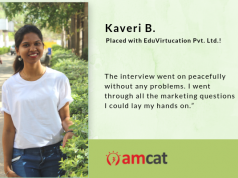 The Editor here defines the internal editorial team at AMCAT, which engages in conversations around AMCAT, campus drives held in different locations and career buzz everywhere, that would help freshers get hired!